Pablo Antolin is Principal Economist and Head of the Private Pension Unit of the OECD Financial Affairs Division. He manages the research and policy programme of the Working Party on Private Pensions, a body that brings together policymakers, regulators and the private sector of almost 40 countries around the world. His work covers issues related to the operation and regulation of funded retirement income systems. The current work of the WPPP addresses issues related to ageing populations at its impact on pensions as well as the contribution of funded pensions to retirement income adequacy. The work includes collecting and disseminating standardised pension fund statistics; the OECD Core Principles of Private Pension Regulation; work on pension funds as institutional investors; capital requirements and long-term investment; how pension funds, annuity providers and the regulatory framework incorporate future improvements in mortality and life expectancy; an analysis of the role that private pensions play and could play in the retirement saving adequacy of current and future pensioners; an assessment of the different annuity products in different countries according to the guarantees they provide; and an assessment of the impact of fiscal incentives on retirement savings. Mr. Antolin has been instrumental in putting together the OECD Roadmap for the Good Design of Retirement Saving Plans endorsed in June 2012 by pension regulators from OECD countries (http://www.oecd.org/finance/private-pensions/designingfundedpensionplans.htm). He has recently published with J. Yermo (OECD), R. Hinz and H. Rudolph (World Bank) a book on evaluating the financial performance of pension funds. In the past, he has worked on the impact of ageing populations on the economy and on public finances. He has produced several studies examining options available to reform pension systems in several OECD countries, including public pensions. Previously, he worked at the IMF and at the OECD Economic Department. He has published journal articles on ageing issues as well as labour market issues. Mr. Antolín has a PhD in Economics from the University of Oxford and an undergraduate degree in Economics from the University of Alicante (Spain). Solange Berstein is President of the Council for Novaster in Latin America, consultant for the International Development Bank and researcher for the Microdata Center of the Universidad de Chile, where she also teaches. She was named by the Chilean President as Superintendent of Pension Fund Managers in 2006 and from this position she contributed to the latest major reform to the Chilean Pension system that took place in 2008. As a result of this reform the supervisory agency that she lead became the Pension Supervisroy Authority with oversight responsabilities over the whole pension system. As chair of this institution, she participated in the pensions debate and development of best practices on pension supervision not only in Chile but also at an international level, with active involvement in organizations as the WPPP/OECD, AIOS and IOPS. Solange served as Vice-President of IOPS between 2006 and 2007 and in 2008 was elected as Chair of the IOPS Technical Committee, position she held until march 2014. As head of the Pension Supervisory Athority in Chile Solange implemented a risk based supervision approach in line with international best practices. Her involvent on pension supervision and regulation dates back, before her graduate studies, in 1994 when she became part of the Studies Division of the Pension Fund Managers Supervisory Authority. After completing her PhD in 2001 she worked as a Senior Economist in the Central Bank of Chile and since then has been a consultant for the World Bank in pension matters. She served as Head of the Studies Division at the Pension Fund Managers Supervisory Authority from 2003 until March 2006. Solange has written articles related to investment of pension funds, competition on the pension fund industry and coverage issues. She graduated from the Universidad de Santiago de Chile as an Economist and has a Master degree in Economics from ILADES/Georgetown University. She has a Ph.D. in Economics from Boston University. Alejandro Bezanilla is the Chief Investment Officer of AFP Habitat S.A., the second largest privately owned pension fund in Chile which manages approximately USD 35 billion. He joined Habitat in 2005, initially to manage the fund´s chilean equity portfolio, and was promoted to CIO in 2008. Previously, Mr. Bezanilla worked for Compass Group, managing a portfolio of small cap chilean equities. He has also worked at Antofagasta Minerals (the mining investments of the Luksic Group) and Enersis (an international utility company based in Chile). Mr. Bezanilla is a civil engineer from the Universidad Católica de Chile. Jonathan Callund is Managing Director of Callund y Compañía Ltda. and specialist in funded pension and annuity programs. His company is the oldest independent financial services and pension consultancy company in Chile, established by his father in 1981. He has played an active part in the formation of many AFPs and life and health insurance companies in Chile and in the Region. As a specialist public policy expert to the World Bank and multilateral agencies since 1992, Jonathan has also consulted to governments in Latin America, Asia, Africa and Europe on funded pension programs, supervisory regulations and technical aspects of related group insurance arrangements. After 20 years of consulting based from Chile, in 2003 Jonathan moved to New York to join AIG as SVP and Director Global Pensions & Annuities, with underwriting, ALM, and product development responsibility for pension and immediate annuity programs in 35 countries, including Brazil, Poland, Hong Kong, UK and Greece and over-sight for USD12 bn. in AUM. Jonathan is currently short-term consultant to the IFC/World Bank and sits on the board of insurance companies in the Region as an independent nominee director for IFC. He is also a member of the Insurance Ireland Business Advisory Panel in support of evolving pension legislation initiatives in the Republic of Ireland. Jonathan has a Business Administration bachelor's degree from Bucks New University, UK and holds an MBA in entrepreneurship from Babson College, Wellsley, MA, USA. Guy Coughlan is a member of the management team at Pacific Global Advisors (PGA), a business providing fiduciary management and advisory services to pension plans that was acquired from J.P. Morgan by Pacific Life Insurance Company in 2011. His responsibilities include overseeing the Actuarial team, the Risk function and the ALM (asset-liability management) function. Prior to joining PGA, Guy spent 17 years at J.P. Morgan where he was a Managing Director most recently holding the positions of Global Head of ALM Advisory, Global Head of Longevity Solutions, and Co-head of European Pension Advisory. During his time at J.P. Morgan Guy advised pension plans, corporations and insurance companies on investment, risk management, ALM and capital structure. He began his career in fixed income research and was a member of the pioneering RiskMetrics team, in which he led the design, development and marketing of the first general-purpose commercial value-at-risk system called FourFifteen. In 1999 he founded the Global ALM Advisory group and set up J.P. Morgan's longevity business in 2007. In this role, Guy led the development of LifeMetrics, an open-source platform for longevity risk management that included mortality and longevity models and indices. In 2008 he was involved in executing the world's first longevity hedges using capital markets swaps. Guy played a central role in establishing the Life & Longevity Markets Association (LLMA), a cross-industry body set up to promote the development of the market for longevity risk transfer, serving as the inaugural chairman of the LLMA's Technical Committee. In 2012 he served on the US Society of Actuaries' Longevity Task Force. Guy has a DPhil (i.e., PhD) in physics from Oxford University, and also holds a BSc degree from the University of Western Australia and an MBA from Henley Business School in the UK. Patricio Espinoza is a Commercial Engineer from the Universidad de Chile and Master of Arts in Economics and Business Administration, IESE, Universidad de Navarra, Barcelona, Spain. He has worked for more than 20 years at the SVS and nowadays he is the Head of the Insurance Regulation Department. Mr. Espinoza has participated in designing the new risk-based supervision system for insurance companies, as well as in several bill projects concerning the insurance sector, such as amendments to the Capital Market Law MKI, MKII and MKIII and amendments to the Insurance Law, including risk-based supervision and risk-based capital for insurance companies. In addition, Mr. Espinoza has more than 15 years of teaching experience as undergraduate and graduate professor. Alan Fine, MD. Professor of Medicine Boston University. Dr. Fine, Director of Stem Cell Research at the Pulmonary Center at Boston University is a leader of a National Institutes of Health (NIH) funded research program focused on the identification and function of lung stem cells. One particular area of interest is directed at understanding how stem cell populations change in function, location, and identity as mammals transition from fetal to immediate post-natal and then adult life. A significant element of his research examines the relationship of stem cell dysfunction to lung disease pathogenesis and aging. He has served as a consultant to the NIH, other U.S. federal agencies, and private foundations to help guide research funding policies, priorities, and directions. He also serves as a physician consultant for patients with lung diseases. Michael Garvin is the Chief Financial Officer - Latin America Region with Principal Financial Group. Garvin joined The Principal in 2002 as an actuarial student in the U.S. Individual Life insurance business unit performing pricing and product development work. In 2004, he rotated to the U.S. retirement operation of Retirement and Investor Services (RIS) performing pricing, product development, financial reporting, risk management work, and team leadership of the group annuity line of business. In late 2008, Michael Garvin was assigned to the pricing and risk management work of the individual variable annuities business. In mid-2010, Garvin rotated to the Investor Relations area of Principal Financial Group where he helped explain company strategy and financial results to investors and stock analysts. In January 2013, he became the Chief Financial Officer of Annuities and Individual Investor in RIS. In 2014, he accepted the CFO Latin America Region position and relocated to Santiago, Chile. An Iowa native, Garvin received his bachelor's degree from The University of Iowa in Iowa City, Iowa. Michael is a member of the Iowa Actuaries Club, the American Academy of Actuaries and is a Fellow with the Society of Actuaries. He has also volunteered with the Volunteer Income Tax Assistance (VITA) program with United Way of Central Iowa and Big Brothers Big Sisters of Central Iowa. Amy R. Kessler SENIOR VICE PRESIDENT and head of Longevity Reinsurance within Prudential's Pension Risk Transfer business. She is responsible for Prudential's successful launch of its longevity reinsurance product and has led more than $29 billion in international reinsurance transactions since 2010 covering the pension liability risk of British Airways, Rolls-Royce and 13 other pension plans in the United Kingdom. Most recently, Amy led Prudential's reinsurance team in the largest and most innovative longevity risk transfer transaction on record for the BT Pension Scheme. In addition, she is currently leading the launch of Prudential's reinsurance solutions for pensions in Canada and the Netherlands. With more than 25 years of financial services experience, Amy possesses both capital markets expertise and in-depth insight into the innovative pension risk transfer transactions occurring globally. Before joining Prudential, Amy served as a principal at Bear Stearns and as Global Head of Pension ALM at Swiss Re in London. At Bear Stearns, Amy completed over $40 billion in debt capital markets transactions, including the New York City Recovery Notes issued in the wake of the Sept. 11, 2001 terrorist attacks. Amy also developed the first longevity insurance product for U.K. pension funds during her tenure at Swiss Re. Amy holds a Bachelor's Degree in Economics and a Master's Degree in International Economics and Finance from Brandeis University, where she is a member of the Board of Overseers of the International Business School and the 2013 recipient of the Dean's Medal. John Kiff has been a Senior Financial Sector Expert at the International Monetary Fund (IMF) since 2005,. Prior to that, John worked at the Bank of Canada for 25 years, where he spent most of his time managing the funding and investment of the government's foreign exchange reserves. During his last five years at the Bank, John was heavily involved in several BIS working groups that focused on credit risk transfer markets, and he has published a number of articles and papers around these projects. At the IMF he is part of the team that produces the semi-annual Global Financial Stability Report (GFSR) and he has continued to publish articles and papers on risk transfer markets. More recently John has been focusing on mortgage market microstructure, OTC derivative market infrastructure, securitization markets, and longevity risk transfer markets. He was one of the authors of the GFSR April 2012 chapter on longevity risk, and co-led the team that produced the Joint Forum December 2013 report on longevity risk transfer markets. Angus Macdonald graduated in Mathematics from Glasgow University, then joined Scottish Amicable Life Assurance Society, qualifying Fellow of the Faculty of Actuaries (FFA) in 1984. In 1989 he moved to Heriot-Watt University, obtaining a PhD in 1995 and being appointed Professor in 2000. He served on Faculty Council from 1998 to 2007. In 1999 he set up the Genetics and Insurance Research Centre, which has since produced most of the actuarial research on this subject, including two papers that won the David Garrick Halmstad prize in 2005. He was elected Fellow of the Royal Society of Edinburgh in 2006 and was awarded the Finlaison Medal by the profession in 2011. He was Head of the Department of Actuarial Mathematics and Statistics at Heriot-Watt University from 2007-2013. Moshe A. Milevsky is an Associate Professor of Finance at the Schulich School of Business and a member of the graduate faculty of Mathematics and Statistics at York University in Toronto, Canada. He is the Executive Director of The (non-profit) IFID Centre and a member of the Board of Directors of the Fields Institute for Research in Mathematics. He has published 10 books and over 60 peer-reviewed articles. He is on the editorial board of Financial Analysts Journal, Journal of Pension Economics and Finance, Risk Management and Insurance Review and the Journal of Retirement. 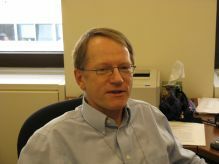 In addition to scholarly research he has written popular articles for the Wall Street Journal, the Globe and Mail and the National Post, where he received two National Magazine (Canada) awards in 2003, as well as the Retirement Income Industry Association (RIIA) lifetime achievement award for applied research in 2008 and a Graham & Dodd scroll award from the CFA Institute in 2006. Professor Milevsky has served as an expert witness and consultant to corporations and governments for over 20 years and has delivered over 1,000 lectures to audiences around the world. He is currently working on his next book manuscript, which will be published by Cambridge University Press, tentatively entitled TONTINE: Why the Retirement Annuity of the Future Must Resemble its Past. Brent Walder is Senior Vice President and Chief Actuary for Prudential Retirement. In this role, he provides leadership and oversight of all actuarial functions supporting Prudential's Retirement business, including pricing, modeling, assumption-setting, valuation and reporting, and financial risk management. Walder serves as a member of Prudential Retirement's strategic leadership team and serves on the board of Prudential Retirement Insurance and Annuity Company as Senior Vice President and Chief Actuary. Prior to his current role, Walder was responsible for the pricing, modeling, and underwriting of Prudential's pension risk management business, and led the pricing and financial assessment of the landmark General Motors and Verizon pension risk transfer transactions. His experience also includes leading Prudential's Institutional Income Innovations group, where he was a founding member and co-architect of Prudential IncomeFlex, the first guaranteed lifetime withdrawal benefit tailored to provide retirement security within defined contribution plans. Walder was also Vice President of Business Finance for Prudential Retirement's full-service retirement business, responsible for product pricing and profitability for defined benefit, defined contribution and non-qualified retirement plan clients. Earlier in his career, he was a business financial officer for CIGNA's retirement business, holding several actuarial and financial roles as a member of CIGNA's Actuarial Executive Development Program. Brent is a Fellow of the Society of Actuaries (FSA) and a member of the American Academy of Actuaries (MAAA). Walder earned a bachelor's of science degree in actuarial science from the University of Illinois. David F. Callund - the birth of the AFP System. As an Economist trained at Nottingham University, David spent his 55 year professional career involved in economic/social policy development and the furtherance of pensioners' rights. This deep commitment took him all over the world - literally. His work experience covered all 6 continents and many of the islands - large and small - in between - two of his last projects took him to the remote islands of Santa Helena and The Falklands to review pension benefits for civil servants there. That said, David might have considered his greatest and most lasting policy achievements were seen in Chile, Indonesia, Russia, Kazakhstan and China - he died on 4th June, 2013. David began his career establishing "insured" supplementary corporate pension arrangements, with HOBBS, SAVILL & BRADFORD in London in the late 1950s and then moved up Manchester. He was an early EEC proponent and wrote and published his own newsletter in support of Britain's membership of the Community. Joining Metropolitan Pensions Association in the mid-60s, he moved to Brussels in 1967 to establish MPA's first European office and develop his particular brand of pension and actuarial fee-based consulting (as opposed to insurance brokerage). On returning to the UK, David set up CALLUND & COMPANY in London in 1974 as an independent provider of actuarial services to multinationals. At that time he also wrote and published the definitive work - Employee Benefits in Europe - EBE. However, his most important move away from the corporate world and into the emerging public policy space came quite by accident with an opportunity to participate in Chile's pension reform process. In 1978, while working on a US domestic pension issue for a corporate account - KAISER STEEL in California - David became aware of a dispute involving Chilean sailors on board KAISER's ships. Apparently, the Chilean marines were complaining about the levels of pay when compared with their fellow seamen. To get to the bottom of this, KAISER invited David to join a special team going down to Santiago to study the roots of the problem. It should be recalled that it is (still?) a convention in the merchant marines around the world that all seamen treated as though they were employed workers in their home country and, as such, are subject to the corresponding country's deductions and income tax arrangements. Given KAISER's close ties with CAP - then the State steel company - when they arrived in Chile the team was able to meet with the most senior economic and labour ministry officials and so, within less than a week, they had a clear diagnosis. The social charges on Chilean workers for pensions and healthcare benefits represented close to 50% of pay, compared to the charges of, say Philippine seamen which were around 10%. Hence the Chilean marines' net pay was significantly lower. There was nothing to be done, unless the Chilean contribution rates were brought down. As a result of the visit, David was engaged by Roberto de Andraca Barbas - then Director de Administración y Finanzas - to review the pension program of CAP's own workforce and to prepare detailed proposals to establish a lower cost, independent funded Caja for CAP's c. 16,000 employees and so be able to opt out of the expensive public program - much as the CLUB HÍPICO and MINERA HOCHSCHILD had successfully done. Aware of the unsustainable nature of the multiple Social Security programs, the Pinochet government had already commissioned a Pension Reform Committee to develop proposals to establish a new system. In this context and given his success with CAP, David was invited, as the only international expert, to provide the Reform Committee with technical support and so began a working relationship with the team and the young Labour Minister - José Piñera Echenique - which led to the formulation of Law N° 3,500 and what became known as the AFP system. As an itinerant advisor to the Reform Committee, David visited Chile on a number of occasions over an 18-month period, presenting critical information on pension arrangements around the world and, in particular, exploring the virtues of the Singaporean and Malaysian central provident fund arrangements - the only public DC programs in existence at that time. It should be recalled that the general idea adopted by the Committee was initially and briefly developed in 1969 by an economic think-tank working on the economic platform for the election of former president Jorge Alessandri in 1970 - as we know, he lost that election. Later, in 1973, some members of the same think-tank, and others, wrote a new economic program for Chile known as El Ladrillo (The Brick) that included social security reform ideas with more detail. The benefits are to be equal to the contributions paid over time by each individual. The system is to be the same for all and no benefit is payable to people, or groups, who do not contribute. The system is to be open to all. Ideally there should be many independent competing funds, ensuring efficient administration and low costs. The role of the State is to be limited to preserving the interests of the pensioners and controlling the fund managers, so as to avoid fraud, negligence and excessive risks. Contributions paid to funds are to be deducted from pay before tax. The switching of funds between managers is to be free-of-charge. In the case of disability or death, all members are to be covered for an amount equal to what they would have been entitled to at normal retirement age, had they continued to contribute to that date. The funds may not be used until retirement age. Based on pension funds, such a system benefits not only from being an efficient means of social protection in old age, but also from the accumulation of wealth in the hands of the worker who will, in turn, become the principal source of savings to finance investment. The cost of current pensioners and contributions prior to the new system's introduction is to be financed out of general taxation. the actuarial projections and economic modelling of prospective pension liabilities and their funding. Renato Gazmurri Schleyer - adviser to the Minister and subsequently named the first Superintendente de AFP. Miguel Kast Rist - Head of ODEPLAN, then Minister of Labour (82) and subsequently Governor of the Central Bank. Sergio de la Cuadra Fabres - Presidente del Banco Central (81-82), where David had his office and briefly Finance Minister (82). Sergio de Castro Spikula - Ministro de Hacienda (76-82) and drafted the influential El Ladrillo. Carlos Urenda Zegers - subsequently head Urenda Commission on Financial Services Reform (86-87) - Lawyer and Corporate advisor - he was David's legal counsel in Chile. Roberto de Andraca Barbas - President of CAP and an influential industrialist. Before ending his work with the Chilean government, David began developing a 2nd pivotal experience, namely negotiating and securing a £1.2 million consulting contract over 4 years to act as technical advisors to the Indonesian Government in Restructuring its Public Sector Company Employee Benefits arrangements. This project began in 1981 and lasted thru 1984. It involved CALLUND & CO. in establishing a permanent subsidiary in Jakarta which was staffed by a team UK expats and locals, tasked to review the pension commitments of all the State-owned companies. David's 3rd major public policy initiative was the £1.7 million, consulting project spanning 5 years which he carried for the UK Overseas Development Agency and Know-How Fund in assisting the Government of the Russian Federation in establishing a new pension program 1992 and 1997. Over three phases, David led the local team and senior Russian pensions agency in the creation of the Non-State Pension Funds (NPF). As in the case of Indonesia, this also involved establishing and staffing a permanent subsidiary office in Moscow with expats and local technicians.